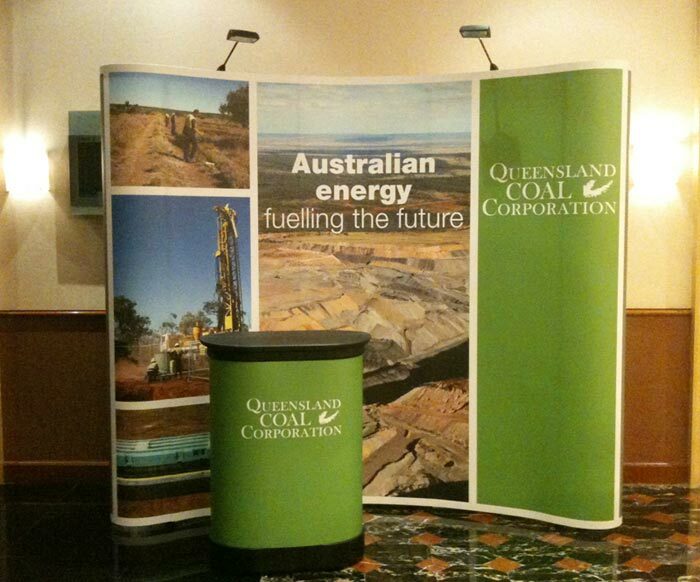 Pop Up Stands are large backdrops you can use for your tradeshows and marketing events. They can be set up in a matter of minutes and look very impressive for your brand message. Best of all, they can be kept away for easy storage and reused many times for many events. Definitely a great investment for your marketing campaigns! 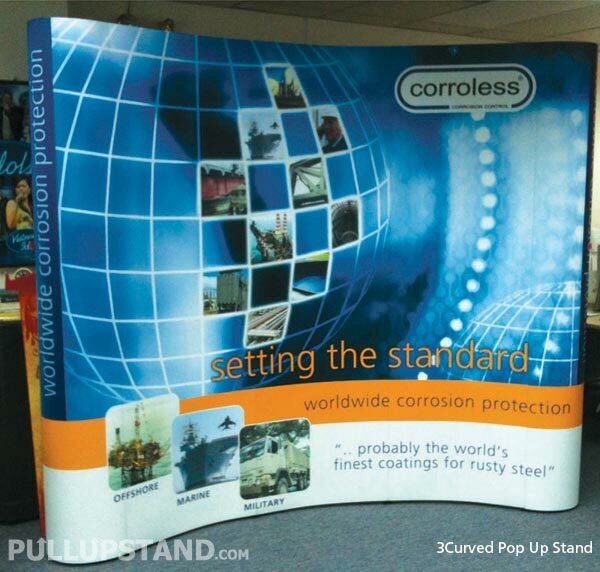 The Pop Up Stand is perfect for creating a lasting impression at exhibitions and roadshows. 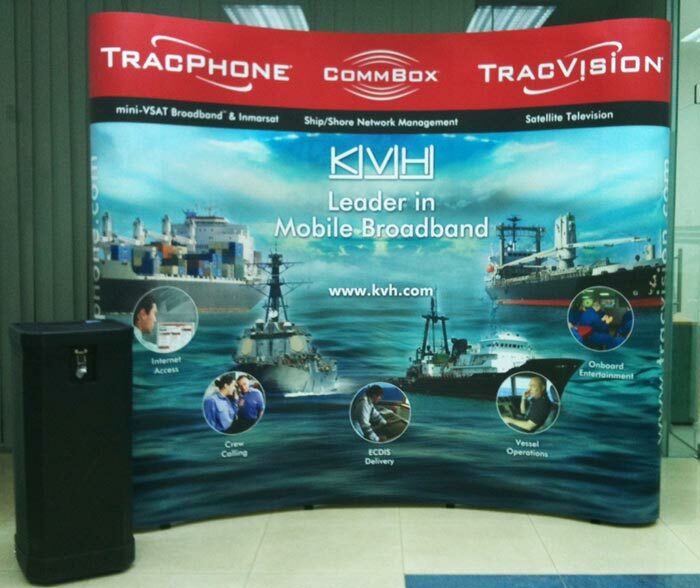 Easy to set up and dismantle, this portable ‘graphic backdrop’ is the ultimate display weapon for marketing & promotional activities. #Dimensions given are for the floor area that the system takes up. * Weight indicated are estimates and may vary by +/- 2kg. 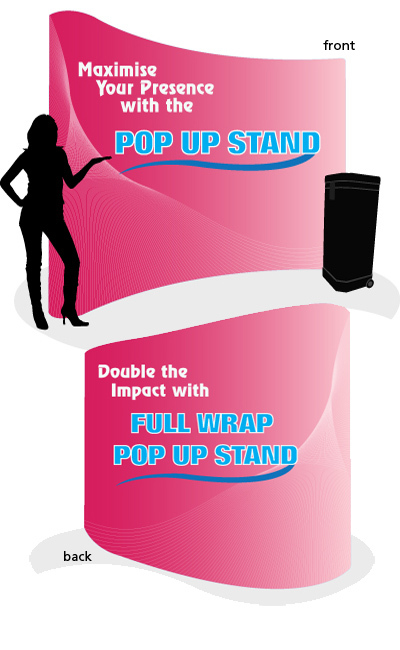 The Pop Up Stand Premium adds more value to your Pop Up, bundled together with a printed hardcase counter & tabletop and 2 spotlights, for added impact on your display. 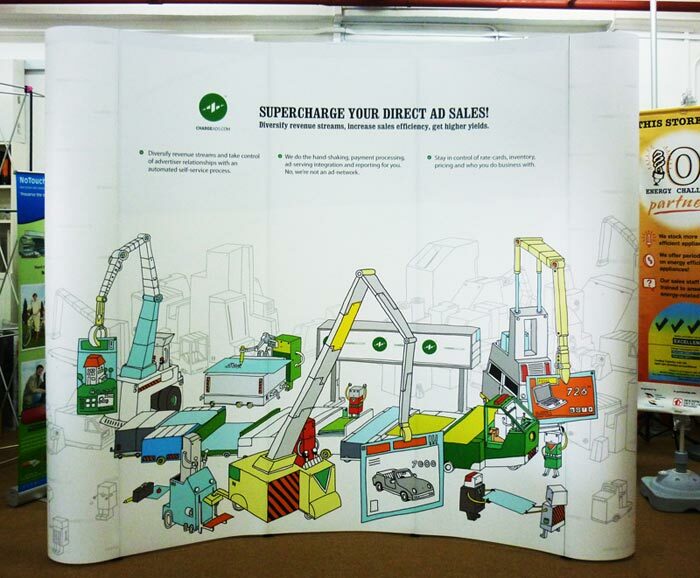 The Pop Up Stand Full Wrap allows you to make a definite impact at the trade show, displaying an all-round printed backdrop that your audience can fully marvel at. The Premium model adds more value to your Pop Up, bundled together with a printed hardcase counter & tabletop and 4 spotlights, for added impact on your display. 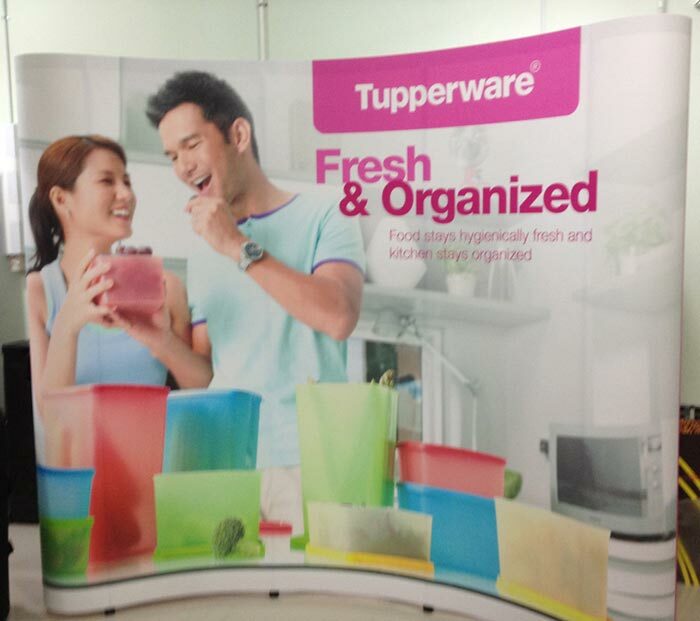 If you need to refresh your message, we are able to provide fresh reprints for your Pop Up Stands. You will still be able to re-use your existing structure and dress it up with the new set of print panels. WHY IS IT CALLED A POP UP STAND? The best answer would probably be because it pops out from a small compact box to become this gigantic visual backdrop that is sure to Wow! and impress your viewers. And at the end of the day, when you need to keep it, it collapses again to fit nicely and non-intrusively back into the compact box, ready to POP UP again the next time you need a stand with MAXIMUM IMPACT. IS IT DIFFICULT TO FIX UP A POP UP STAND? We don’t really know why it excites people so. We think seeing the Pop Up Stand being set up brings out the child in each of us, transporting us back to the days when we played with Legos and building blocks. 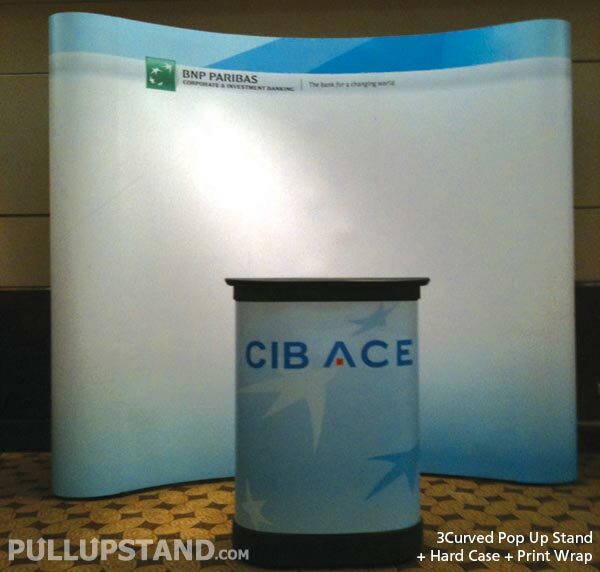 In most situations, a Pop Up Stand requires between 10-20 minutes to set up. And it is disassembled just as fast. 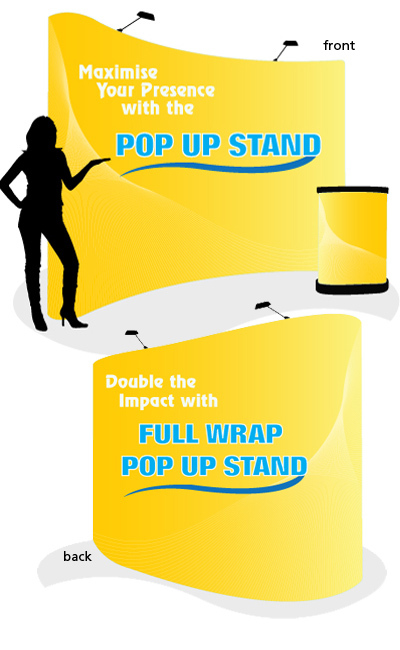 The quickness of setting the Pop Up Stand up is one of the reasons for its popularity at tradeshows and exhibitions. WHAT ARE THE BENEFITS OF USING A POP UP STAND? 1) It is portable and comes with a wheeled counter casing. 2) The Pop Up Stand sets up fast. 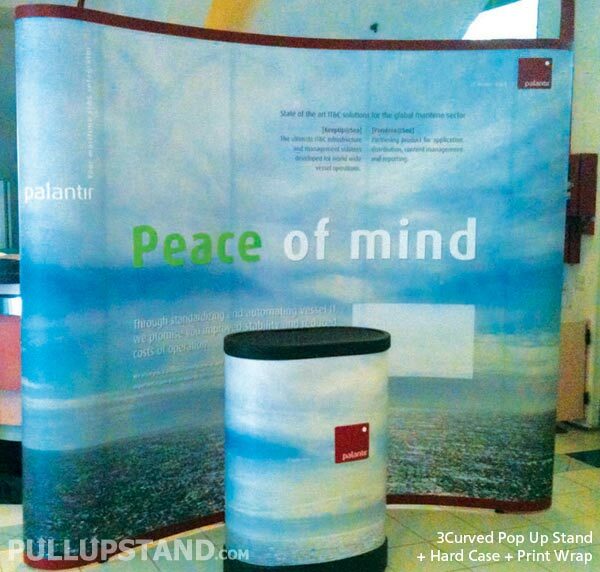 3) The Pop Up Stand panels can be reprinted, when you need a fresh new design. 4) At 2.2m height by 3m width, it has great impact at events. 5) It can be easily kept when not in use. 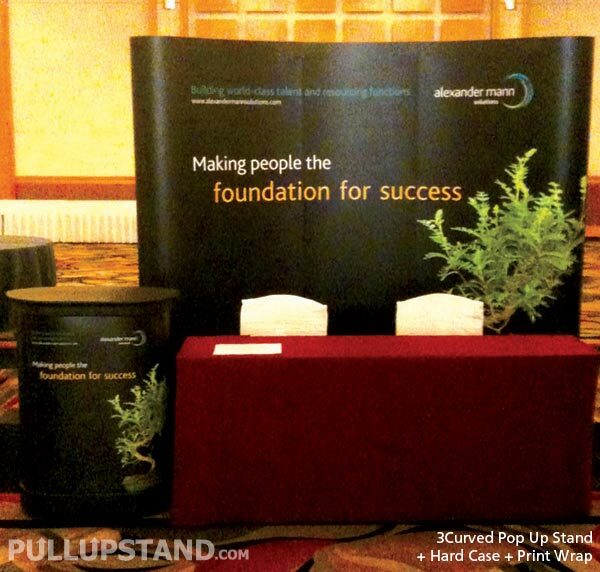 6) The Pop Up Stand can be reused for multiple events and for many times. HOW MUSCULAR DO I NEED TO BE TO USE THE POP UP STAND? It doesn’t require a macho man to set up the Pop Up Stand. Setting up is relatively easy and can be done by almost any one, regardless of age, gender, height, etc. 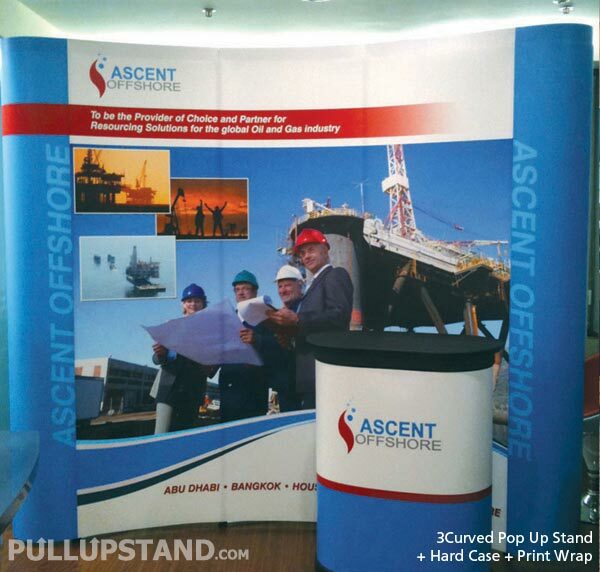 There is a technique to assembling the Pop Up Stand systematically and easily, which we will usually demonstrate to customers when delivering the Pop Up Stand to them. CAN YOU TEACH ME HOW TO USE IT? Yes, we can and we usually do. 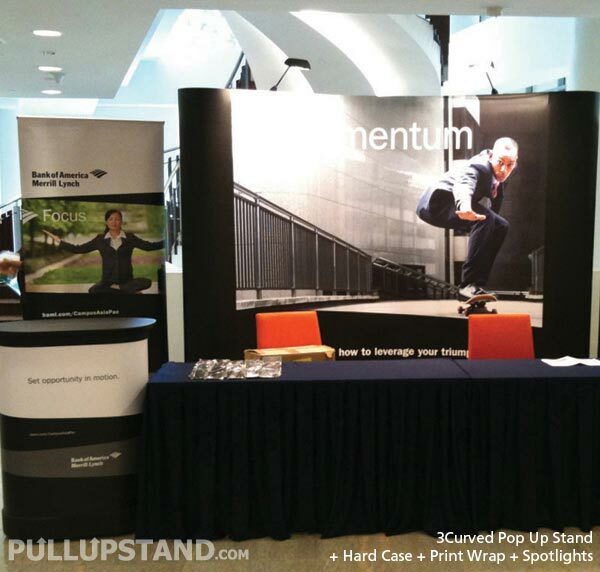 When we deliver the Pop Up Stand to your office or event, our staff will do a demonstration to show you how to put up the Pop Up Stand. He will run through the entire process with you to ensure you can set it up by yourself. We also provide a printed instruction guide, which will be included together in the box, which shows how to set up the Pop Up Stand and also how to keep it properly after use. How Do I Order a Pop Up Stand? 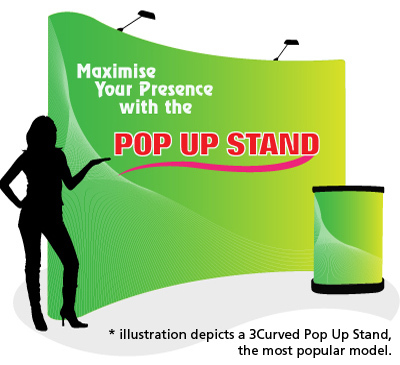 Please select one of the sizes and models of Pop Up Stand as seen on the top section of this page. Each model has a product code. 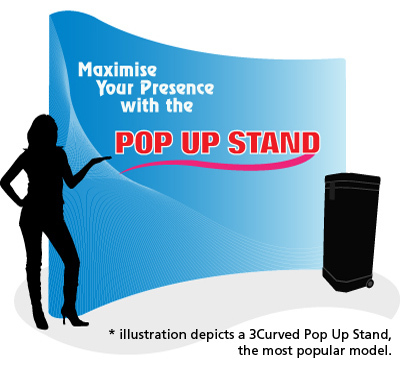 For example, the Premium 3 Curved Pop Up Stand has a product code of PP3C. Ensure that it is the correct size you require, and specify the product code to us in your email or phone call, to ensure correct identification of the product. Be sure to let us know if you have an event coming up, so we can keep your deadline in mind and advise you of the timeline so your pull up banner stand will reach you in time. 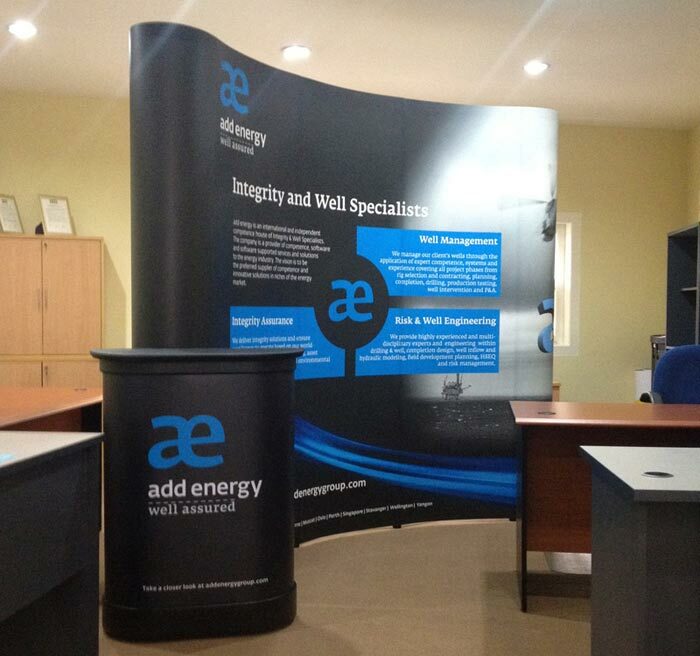 We require 4-5 working days to produce and deliver a Pop Up Stand, and we will help you schedule the production to meet your deadline requirement. We will need you to provide us with high-resolution, print-ready artwork in a suitable graphic software such as Adobe Photoshop, Adobe Illustrator or PDF file in order to print it out clearly and correctly. If you do not have print-ready artwork, do let us know too so we can advise you of the charges for design work done by our team, and of the extra time required to complete the artwork. Do inform us if you would like it delivered to your office or directly to the venue of your event. We can arrange for it to be delivered and set up for you. If you have any extra requirements, be sure to inform us so we can keep this in mind for you. 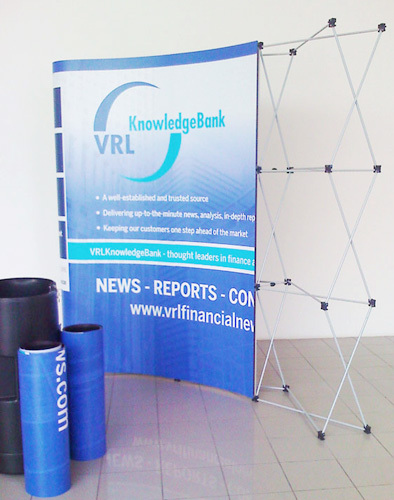 We intend to make the process of printing your Pop Up Stand as fuss-free and enjoyable as possible. Feel free to call us or email us for a discussion if required. Is there any Warranty for the Pop Up Stand? Due to the mobile usage of the Pop Up Stand, which usually is shipped from event to event, and encounters high-traffic conditions at exhibitions and marketing events, we are unable to provide any warranty or guarantee for the stand. Having said that, we conduct thorough inspections and quality checks on the Pop Up Stand before it passes through our production and reaches your delivery point. When we deliver to the exhibition or to your office, our delivery staff is available to run you through the assembly process and at the same time, allow you to check that the Pop Up Stand is in good condition before accepting the item. If you have any issues with your stand, you can always come back to us for after-sales support or maintenance. Do you Provide After-Sales Support or Maintenance? Yes, we do provide after-sales support, even many years later after your purchase. If you ever encounter any issues with your stand, do contact us for after-sales support / maintenance. Depending on the condition and required assistance, we will do an assessment of your stand and advise you of solutions available. Should you need reprint of your Pop Up Panels, we also offer reprinting packages, which can be found in the section before the Information Depot articles. 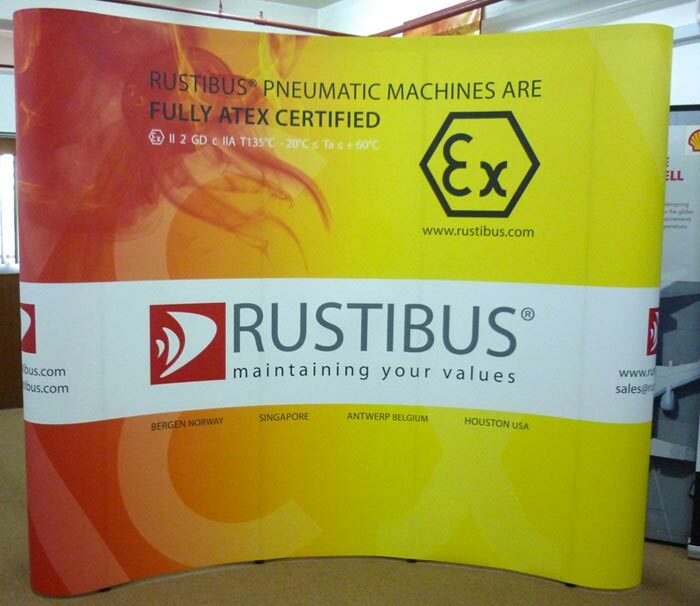 Most of our customers are able to use their Pop Up Stands in good condition for many years, and return from time to time for reprinting when they have a fresh design to present at upcoming exhibitions and events.